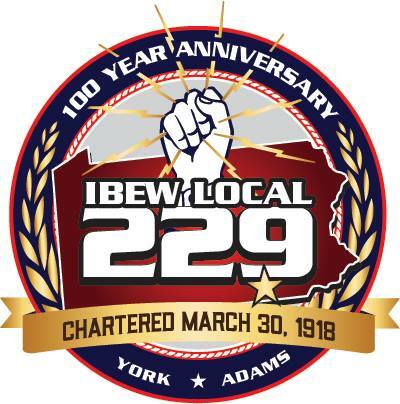 Since the early days of IBEW Local 229, our members have dedicated their time, talent, and hearts to improving our community and providing volunteer services. As members of the IBEW, we are committed to community involvement. As a Union, we believe that involvement in our communities is essential to social progress. IBEW 229 members have also completed volunteer electrical services for Hanover Area Red Cross. Fundraising for the Junior Diabetes Research Fund. On Saturday at April 23rd 2016, members of the International Brotherhood of Electrical Workers Local 229, a group of electricians, and York City Fire Department came out to install nearly 300 smoke detectors — free of charge — in homes in York City's Fireside neighborhood. The smoke detectors were donated by the electrical workers union. Eleven groups of three electricians each canvassed the neighborhood, offering their services to residents. Tim Griffin of Red Lion was one of the participating electricians. "We're just trying to help the community and let them know we're here," he said. The neighborhood was chosen because of a fatal fire that occurred on Tioga Street, in the Fireside neighborhood, in September. Firefighter Ken Swartz was leading a group of three electricians, knocking on every door they passed, offering to help. 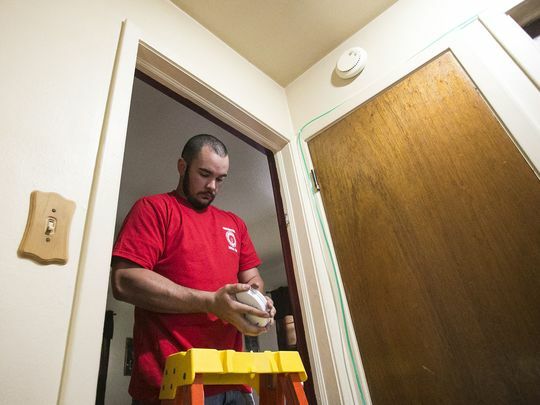 "Smoke detectors will save more lives than I'll ever save," he said. While some didn't answer or declined the help, those who accepted seemed grateful. Sherry Desoto was surprised when several people showed up at her front door offering to install new smoke detectors. Desoto welcomed the electricians into her home. She said she hadn't realized she needed new smoke detectors. Betty Bowman knew about the event and allowed the electricians into her home. She saw fliers promoting the event and thought it was a great idea. "That's nice that you come out and even offer to do it," she told them. The group led by Swartz covered four blocks within the first hour and installed several new detectors in five homes. The installations only took a few minutes for each home. "These are good guys," Swartz said. "They're hard workers."